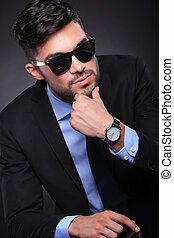 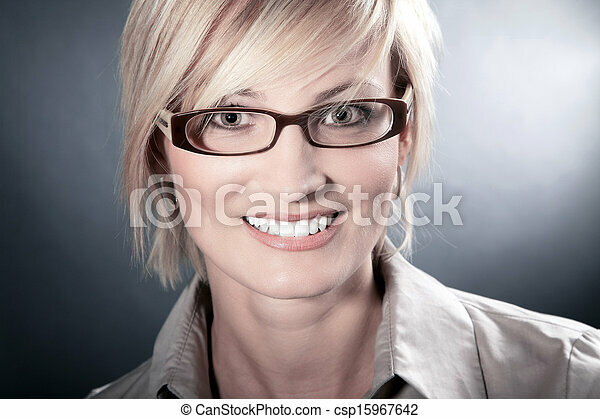 Business woman with glasses looks nice. 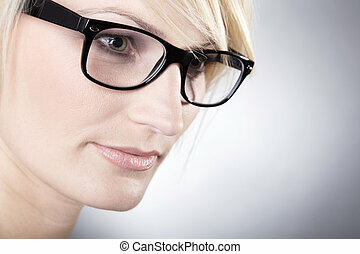 Eyeglasses. 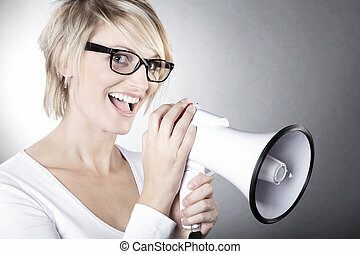 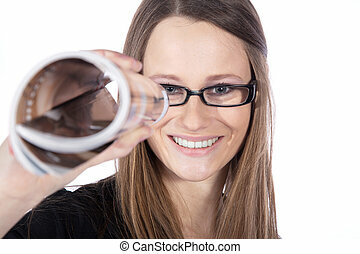 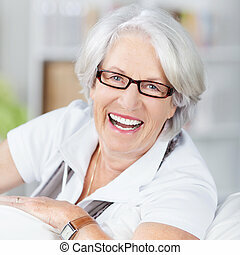 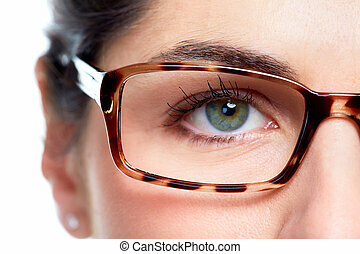 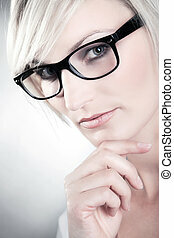 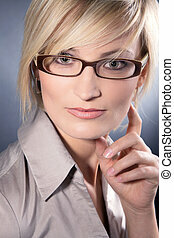 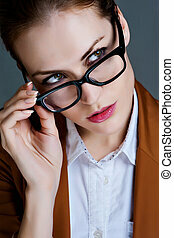 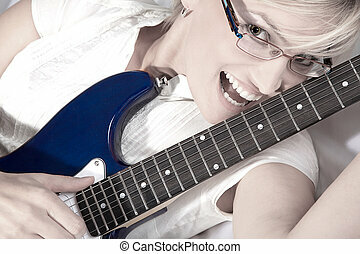 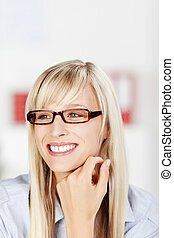 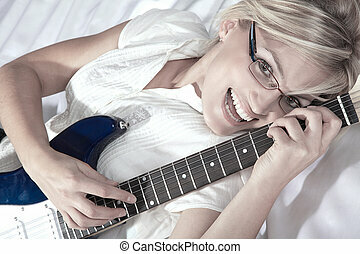 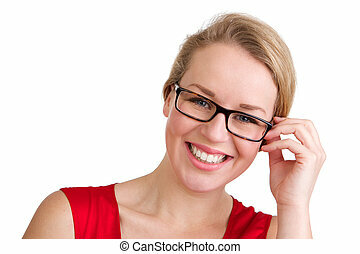 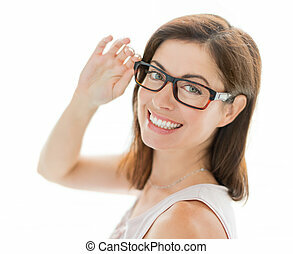 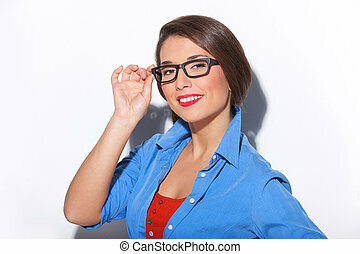 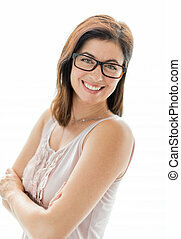 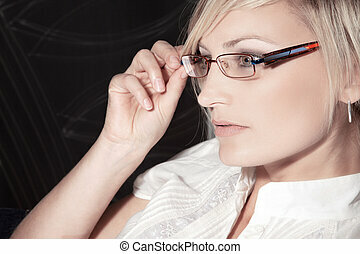 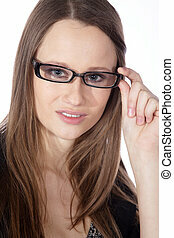 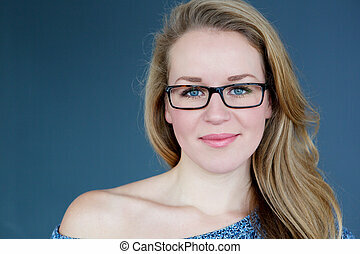 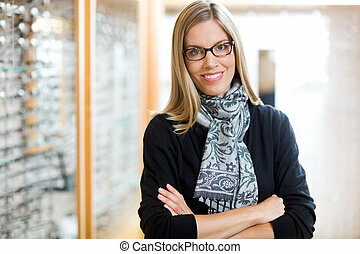 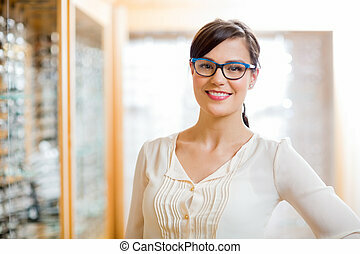 Woman wearing eyeglasses. 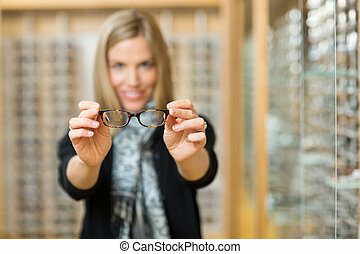 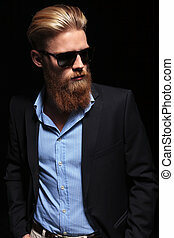 Optometrist background.